Washington – Connecticut’s congressional delegation is at odds with the Malloy administration over its failure to apply for an expansion of the HUSKY program that would give low-income residents access to new telemedicine services, especially for psychiatric care and substance abuse treatment. The Malloy administration, however, says the process for applying for permission to add these services to the HUSKY program may not achieve the desired results and is a lengthy process. The Connecticut Department of Social Services says asking the federal government for a Medicaid state plan change is a faster way to provide some telemedicine benefits to HUSKY patients. 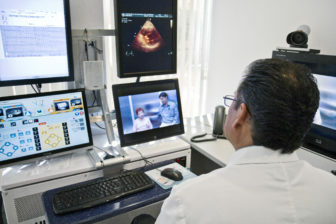 Connecticut is the only state in the nation that has not requested a waiver from the Department of Health and Human Services to incorporate telemedicine into its Medicaid program, known as HUSKY, the lawmakers say. 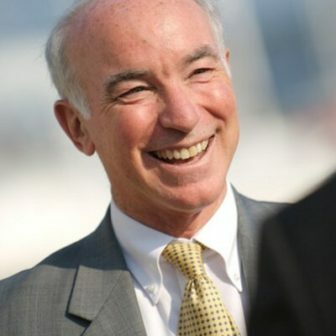 Led by Rep. Joe Courtney, the five Democrats representing Connecticut in the U.S. House of Representatives are pressing the Malloy administration to apply for the waiver, which would allow Connecticut’s doctors and hospitals to receive Medicaid reimbursements for their services when they treat HUSKY patients through telemedicine. In a September letter to state Department of Social Services Commissioner Roderick Bremby, the lawmakers — which, besides Courtney, included Reps. John Larson, D-1st District, Rosa DeLauro, D-2nd District, Jim Himes, D-4th District and Elizabeth Esty, D-5th District — said more needs to be done to fight the opioid epidemic in Connecticut and reaching patients through telemedicine, especially in hard-to-serve rural areas, would help. “We hope the Department of Social Services will see the benefits of this effective treatment modality and implement a telemental health waiver as a means to better serve the state’s underserved populations,” the lawmakers said. In a nutshell, telemental health services provide remote care, using videoconferencing, computer programs and mobile devices, through a variety of mental health professionals, including psychiatrists, psychologists, social workers, counselors, and marriage and family therapists. Hospitals are also using the technology to establish telepsychiatric assessment programs in their emergency departments and to set up virtual networks of mental health professionals providing services to underserved geographic areas. Those services are needed in Connecticut, Courtney said. “The tyranny of distance is really out here,” he said, especially in rural parts Connecticut. HUSKY’s low-income population is very vulnerable to the opioid epidemic that has gripped the nation. But, according to the Connecticut’s Medicaid formula, the state would have to pay for half of the cost of the expansion of the HUSKY program to cover telemental health. The Department of Social Services could not immediately say what types of services it would try to add to the HUSKY program, which, like the waiver, would also require approval from the DHH’s Centers for Medicare & Medicaid Services. Courtney said what the Malloy administration proposes is not enough. “It should apply for a full waiver,” he said. The lawmakers, however, argue there’s a great need for telemedicine services because the opioid epidemic requires the use of “all available and medically appropriate tools” to ensure that more Connecticut residents with substance use disorders can get care. Courtney said he was made aware that Connecticut’s hospitals and doctors could not be reimbursed for telemedicine services through the HUSKY program when an official from the U.S. Substance Abuse and Mental Health Services Administration, or SAMSA, spoke about telemedicine at a conference at Eastern Connecticut State University this summer. “Afterwards, (health care) providers came up to me and said ‘this is nice, this is really good, but we don’t get reimbursed for the service,’” Courtney said. He and the other lawmakers also say the U.S. Department of Agriculture makes grant money available to doctors and hospitals to set up telemedicine technology and is actively promoting those grants, in amounts up to $500,000. But doctors and hospitals aren’t likely to pursue those grants to establish the technology if they are not paid for telemedicine services through HUSKY, Courtney said. The Epstein Baker Green report said there are many reasons for the boom in telemental health services. One is that mental health providers rarely have to lay hands on patients, so telehealth “is a good fit. Other reasons telemental services are popular is that they are convenient for those who don’t have a hospital or mental health professional nearby or those who are trying to reduce the stigma that sometimes is associated with a patient physically visiting a mental health provider. This story was updated at 11:07 a.m to included additional comment from DSS.